Purpose: Transfer sewage waste away from the River Thames, reducing the number of spills from Combined Sewer Overflows (CSOs) and improving environmental water quality in the river. Details: The new 25km tunnel will lead from Acton in the west of London to Abbey Mills in the east, where it will link up with the Lee Tunnel and convey the sewage to Beckton Sewage Treatment Works. The tunnel will use gravity to transfer waste eastwards and will lie at depths of between 30 and 60 metres. 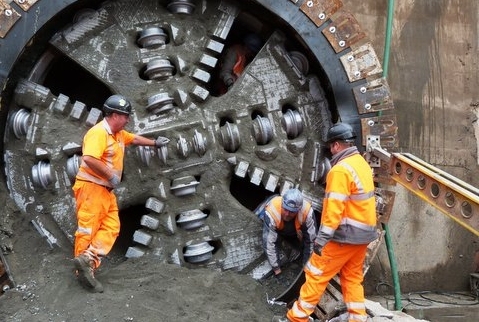 Tunnel Boring machines will enter and exit the ground from three main drive sites: (Carnworth Road (Hammersmith & Fulham), Kirtling Street (Battersea) and Chambers Wharf (Southwark) and the tunnel construction is accordingly split into three sections: West, Central and East. Key contractors: BAM Nuttall, Morgan Sindall, Balfour Beatty (west section); Ferrovial Agroman, Laing O'Rourke (central section); Costain, Vinci Construction Grand Projets, Bachy Soletanche (east section). Project milestones: The first two TBMs were lowered into the ground in July 2018; Tunnelling is set to begin 2018; Secondary lining begins 2019; tunnelling ends 2021; system commissioning begins 2022; all works completed 2023. Purpose: To provide an alternative to the Elan Valley Aqueduct (EVA) as a source of water for Birmingham, to be used for up to 50 days every other year during the maintenance periods for the EVA and to provide a solution in the event of an emergency scenario such as an unplanned shutdown of the EVA. Details: A new river intake and pumping station will be built at Lickhill, north of Stourport, from which water will be transferred via a 25km long pipeline to Frankley Water Treatment Works in Birmingham. Frankley WTW is also being upgraded to accommodate the new source of water. Key contractors: Barhale & North Midland Construction (pipeline); Doosan Enpure & North Midland Construction (Frankley Water Treatment Works upgrade). Purpose: To expand sludge treatment capacity at the site, which serves Leeds, to support population growth in the region and the generation of sustainable energy. 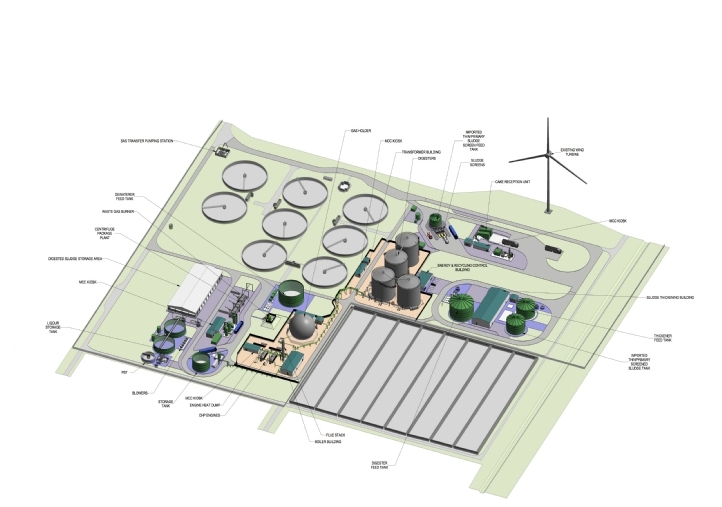 Details: Replacing a sludge incineration plant built in 1993, the new facility will use anaerobic digestion to generate energy with the biogas feeding CHP engines, and will also feature a dewatering plant with a de-ammonification process. It will be capable of processing 131 tonnes of dry sludge daily, and will generate enough energy to fulfil 55% of the needs of the entire site. Purpose: The 6.5km tunnel will reduce flood risk and increase stormwater storage capacity to accommodate ongoing and future developments in Bristol and South Gloucestershire. Details: The tunnel will link the Frome Valley Relief Sewer to the Bristol Trunk Sewer, directing sewage around north Bristol to Wessex Water’s sewage treatment works in Avonmouth. Passing under the M5 motorway and the Henbury Loop freight railway, most of the tunnel will be built deep underground with some sections reaching as much as 30-metres below ground level. Purpose: To use Thirlmere reservoir as the new source of drinking water for homes and businesses in West Cumbria, replacing Ennerdale. Details: The scheme will link the area to Thirlmere Reservoir and involves the construction of 100km of new pipelines, a new water treatment plant at Williamsgate, two new pumping stations and two new underground service reservoirs. 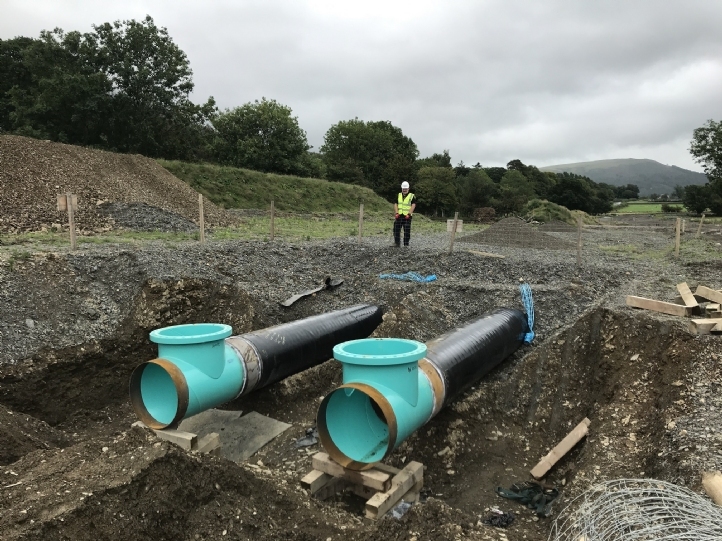 Key contractors: Farrans and Roadbridge JV (new raw water superpipe from Thirlmere to Williamsgate WTW); Farrans (pipeline from Williamsgate WTW to Quarry Hill); Stantec and Bentley JV (Williamsgate WTW); TKG and Amey JV (sliplining existing network mains); Mott Macdonald and Bentley JV (two new service reservoirs at High Leys and Moota Hill). Project milestones: Public consultations began in 2013; preferred route decided in 2015; construction work on Williamsgate WTW and pipelines began in March 2017; construction of service reservoirs at High Leys and Moota Hill began in March 2018; construction on Harrot Hill pumping station began in May 2018; tunnelling began in August 2018; pipeline between Workington and Wigton brought into use ahead of schedule in summer 2018 to tap into water supplies from the River Derwent at Barepot; commissioning work planned for March 2020-March 2021; work to connect Broughton Cross to existing service reservoir at Cornhow to take place between March and August 2021; project expected to be in operation from March 2022.